AND we got 3 S$10 retail voucher - once again Thank you Maybank! This was claimed using the Madagascar Movie Ticket Stub... did I mention the movie tickets were also redeemed from the charge & redeem promo by Maybank! How can i NOT love Maybank!!! 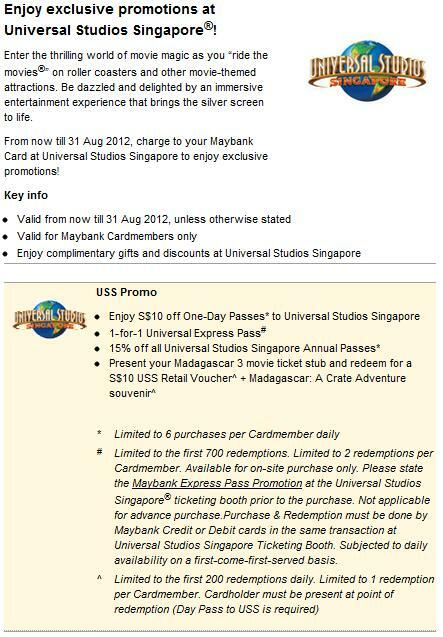 Free Movie, Free USS day passes, FREE $30 retail voucher, FREE keychains! *prices quoted were before using $10 voucher. 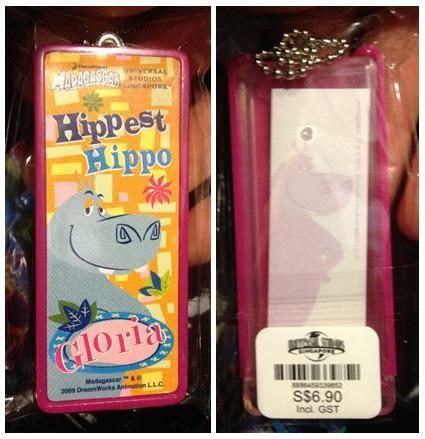 The souvenir we got was a Gloria the Hippo keychain. In the keychain there's a small notepad inside for writing, retails for $6.90. There was only one design available so we got 3 of the same thing. This would be nice for a little girl, which I have nobody to give to. Anyone interested to have it? Drop me an email at mdmcheapo@gmail.com. There are 2 credit cards that Mdm Cheapo really likes - Maybank & Standchart ones. 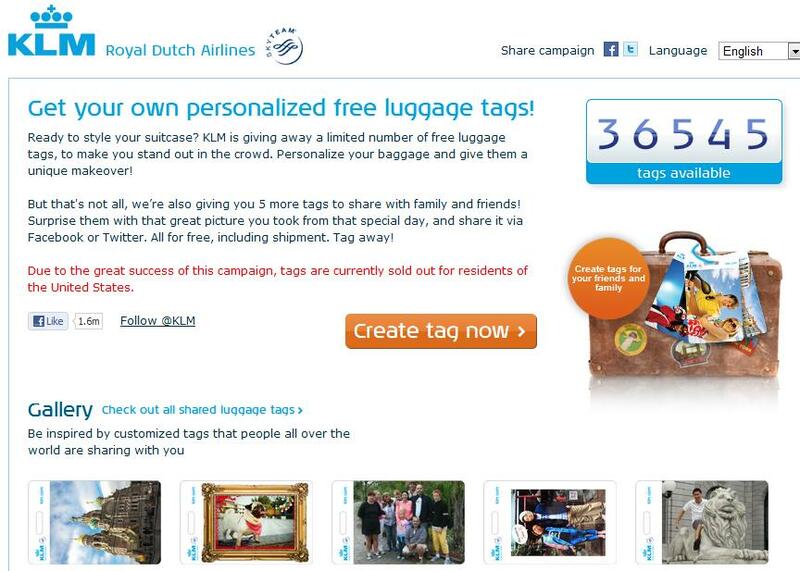 They are really gimmicky - a lot of free stuff to claim. Me likes it. Here's one to share with everyone. 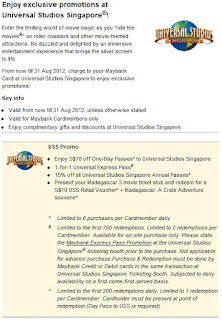 You can redeem a S$10 Universal Studios Singapore Retail Voucher when present a Madagascar 3 movie stub together with your Maybank Credit/Debit Card at Guest Services Lobby. The Guest Services Lobby is in the Park. Right after you enter the park on your left. You can get your park map here too! That's not all! You can redemption a Madagascar souvenir from the Star Chracters. This is a retail store on the right just across the Guest Services Lobby. 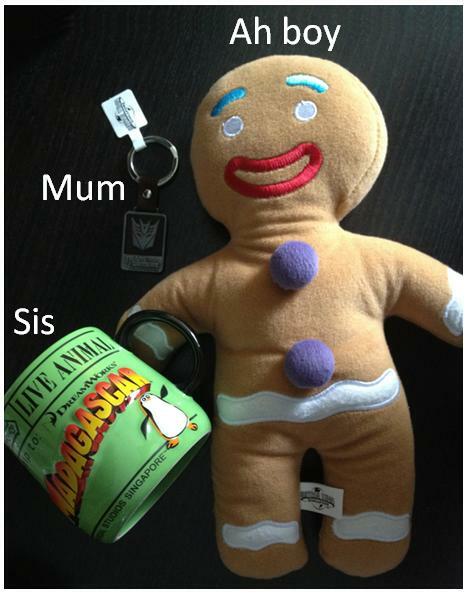 Best part has yet to be said - Mdm Cheapo has 4 Madagascar 3 movie stub to share. Drop me an email at mdmcheapo@gmail.com for it. EXPIRED! 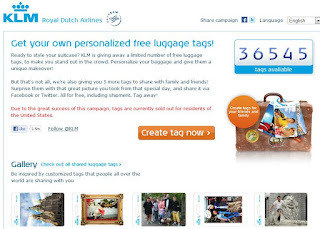 Free Sample: Customized Luggage Tags from KLM! The counter is at 0. I hope you got yours. It's been a while that a freebie gets me all excited! This one is great! Free luggage tag that you can customize with the photo you want, put borders around the pictures, insert words and print your name on the back. It does not get any better than this. I'm puttin my BesTesT photo on this. Available internationally except USA (out of stock). I cannot wait to receive mine! From the time i saw it till I posted it, the counter reduced from 36,545 to 34,243. So hurry! Sample Worth: Priceless, some things money cannot buy? 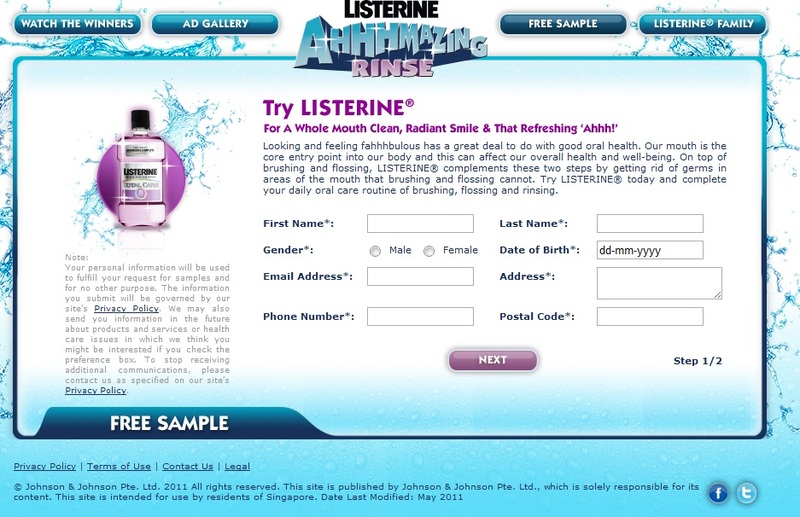 Go to the link, watch a video -> answer a question -> fill up your details... Wala you get your redemption email! ANR’s proprietary formula is secured by 20 worldwide patents (until 2019). It simply cannot be duplicated. 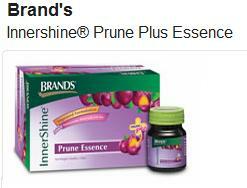 For every 3-4 Months you just put 2 full droppers all over cleansed face and throat each night for 21 days. For the first 1,000 people! 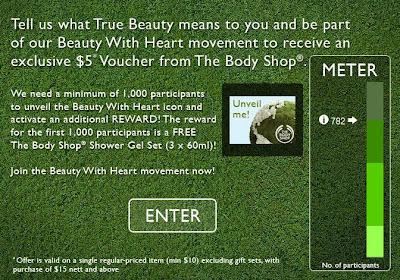 $5 voucher and 3 x 60ml Shower Gel! Free $: Standard Chartered pays for YOUR shopping this GSS! OK, Mdm Cheapo never believed in banks promos like this. Never! Why? Because I never won or heard anybody wining before. However, I would always sign up for it because well, I AM Mdm Cheapo. When I saw the sms on my hp last night while I was already in bed. I couldn't believe what I was reading... Free! Free!!! Free shopping. *Dang* I should have bought more! Chartered Card number to 77222 If you do not have a standardchartered card... what are you waiting for? They even give you $80 cash back for the new credit card. Everybody loves GSS! Mdm Cheapo loves GSS! Love'it! 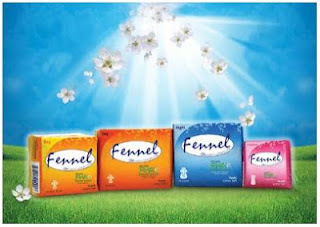 Fennel Sample Pack up for grabs. 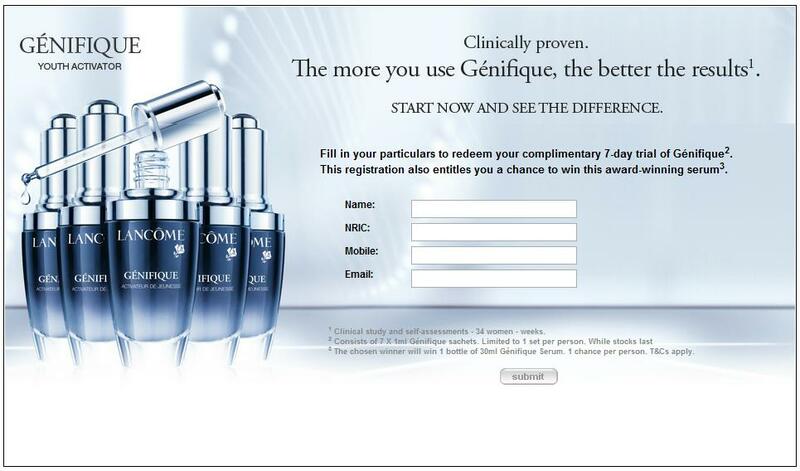 Very direct, fill in a form for your sample. Yeah! 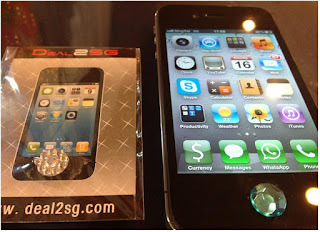 Bling Bling-ed my iphone for free! Now we have gotten iPhone Screen Protector, Anti Radiation Sticker and Crystal Home Button. To complete a set, I wonder if they would give away a free iphone case next..
Ah Lau got Arnolds! Another great weekend date! Mdm Cheapo gets her freebie, Ah Lau gets his chicken! This looks cute, was 0.99! 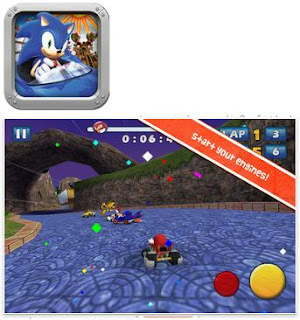 Requirements: Compatible with iPhone, iPod touch and iPad.Requires iOS 4.0 or later. Mdm Cheapo really expected only 1-2 satchet of samples and was pleasantly surprised at 5 sachets of Latacyd Femine Wash.
Mdm Cheapo's hp battery was flat when I passed by Isetan yesterday! 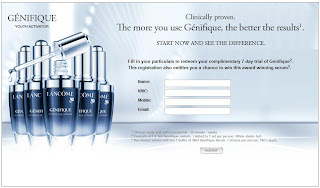 I was so distraught as I needed the sms to redeem the Lancome Genifique 7-day trial pack! How how how?!?!?!?! Then an idea struck! AH Lau ah~ pass me your handphone. I then quickly went into my blog, looked for the Genifique post and registered Ah Lau for it! In the mean time I distracted Ah Lau by entering Harvey Norman. What's with men & electronics? I truly do not understand, come'on a tv is a tv is a tv, all the TVs look the same to me but hey that bought me more than a few minutes. The redemption sms came in! Hurray! Then I calmly annouced, oh let's drop by Isetan on our way down. 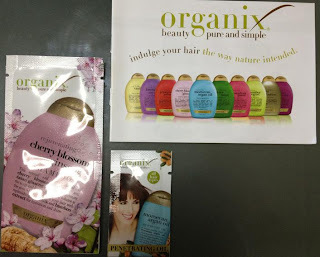 =) *mwahahahaha* Well thanks to my quick wits, here's the 7-day trial pack. The counter staff requested that we filled in a short form, requesting for email & hp details. 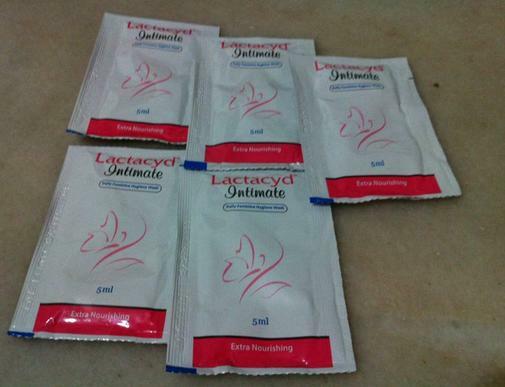 Then advised that each 1ml pack should be used twice, day & night. After 7 days, the skin would be radiant! I was one of the 2,500 fans! Were you one too? I received the email sometime back but only got a chance today to go collect it. It was a 24ml travel size Sekkisei Lotion. The sales lady was really friendly too, gave me a quick run through on the product, useful as a toner before you put your daily moisturizer. This looks gory... 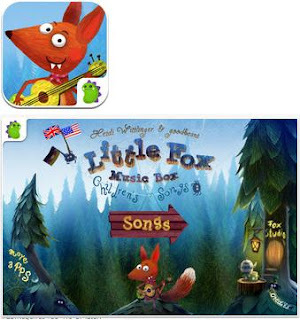 If you have kids, better not download hor. Nightmares ah~ was $5.49. The Graphics certainly looks impressive, was $9.99! 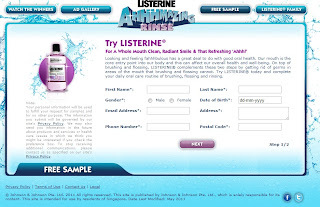 Adults and children 6 years and older should use mouth rinse twice daily after brushing your teeth with toothpaste. Vigorously swish mouth rinse between your teeth for 1 minute and then spit out. It is recommended that if using fluoridated mouth rinses, you do not eat or drink for 30 minutes after rinsing. This is free again! Awww... Sonic the Hedgehog. Brings back memories, racing game that was 1.99! 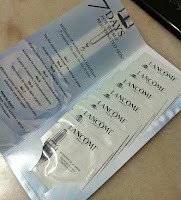 Register and receive an sms for the redemption at any Lancome counter~ 7-day trial pack, while stocks last!